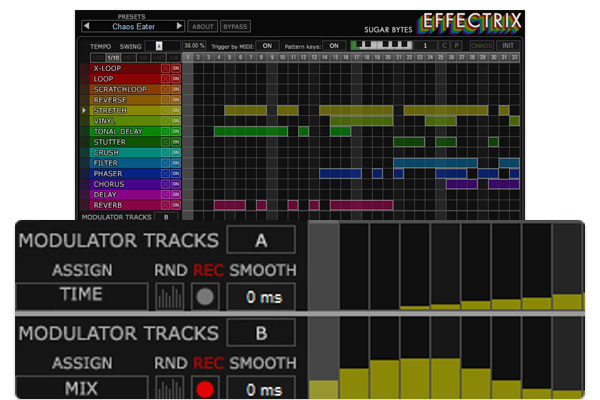 Effectrix | Effects Sequencer with 14 effects. The playful approach creates an atmosphere of immediacy and intuition. 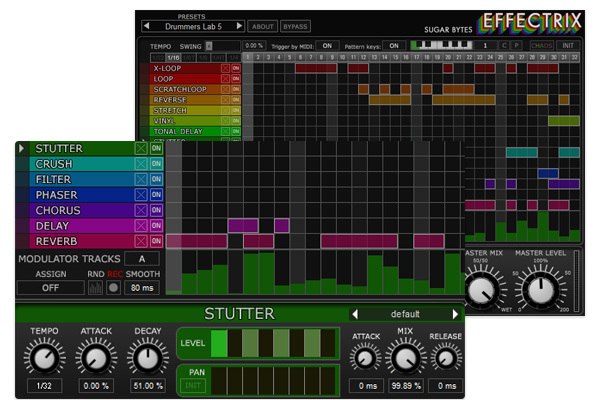 Abundant factory presets & randomizers, the familiar structure of a sequencer will assist and channel your creativity. 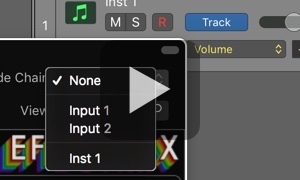 You can store up to 12 different sequences within a single Effectrix preset and flip beween these via onscreen controls or external MIDI keyboard. 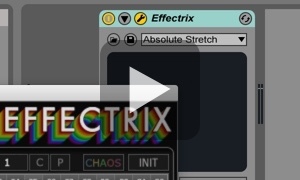 Effectrix is the highly addictive games compendium for demanding sound fetishists. 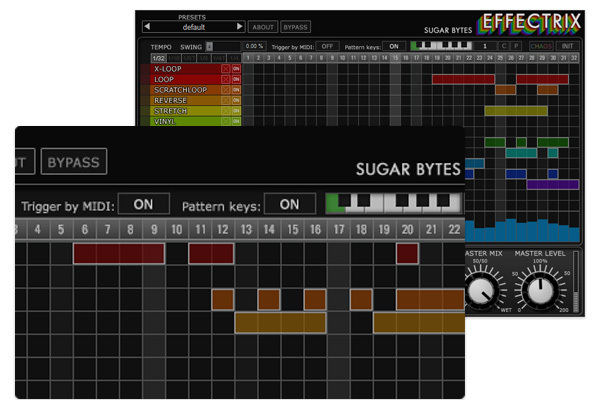 With its ultraflexible operational concept, it’s your door into a wonderland of sound- and rhythm mutation. 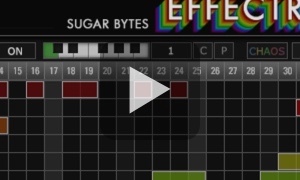 Some useful videos on Effectrix. Dive into a world of endless possibilities. 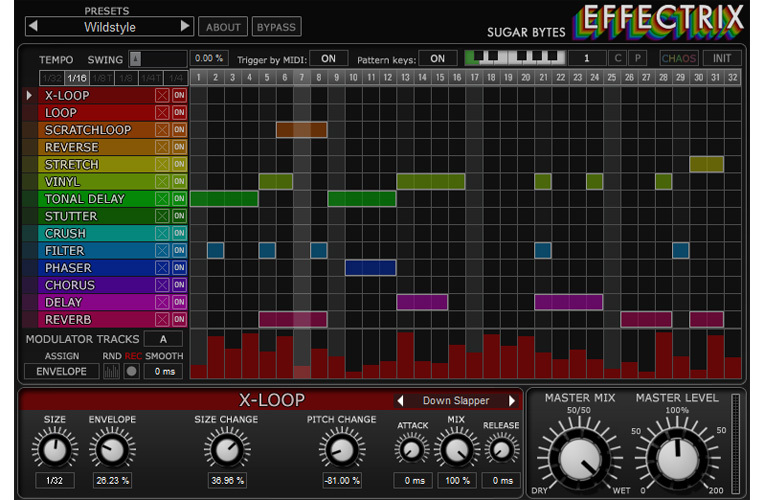 Play with grooves like never before. 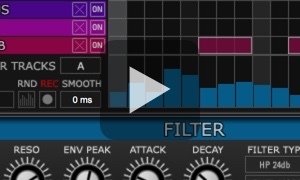 Put a reverb exactly onto the snare, introduce delay lines on certain places in your groove, create new kinds of sounds by relooping looped or scratched stuff. 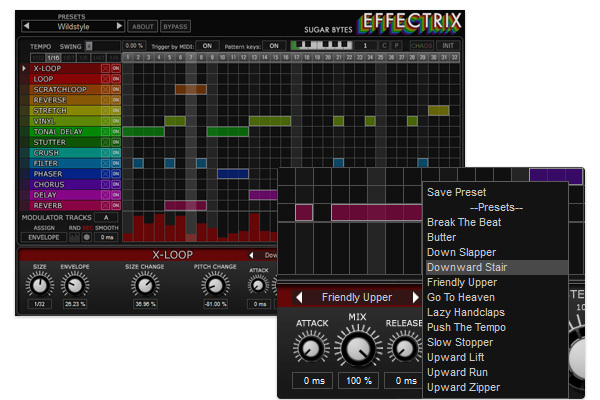 Effectrix comes with an endless depth of possibilities. 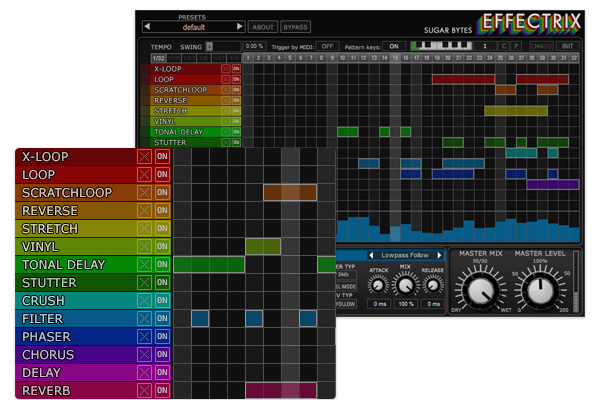 Tweak your beats, create new rhythms, reverse parts, stretch others, apply delaylines; even create melodies with atonal material. If you like, do it all at once. Have it your way!